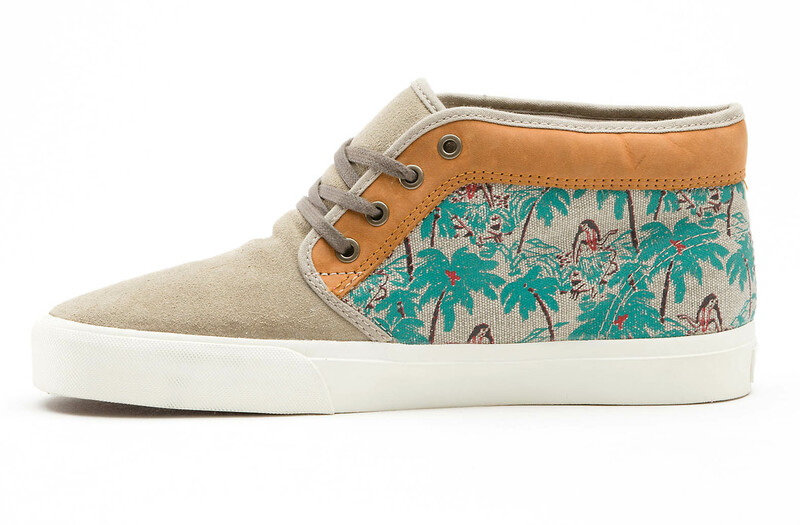 The Vans California division releases a Hawiian-inspired "Hula Camo" pack containing the Chukka Boot and Authentic. 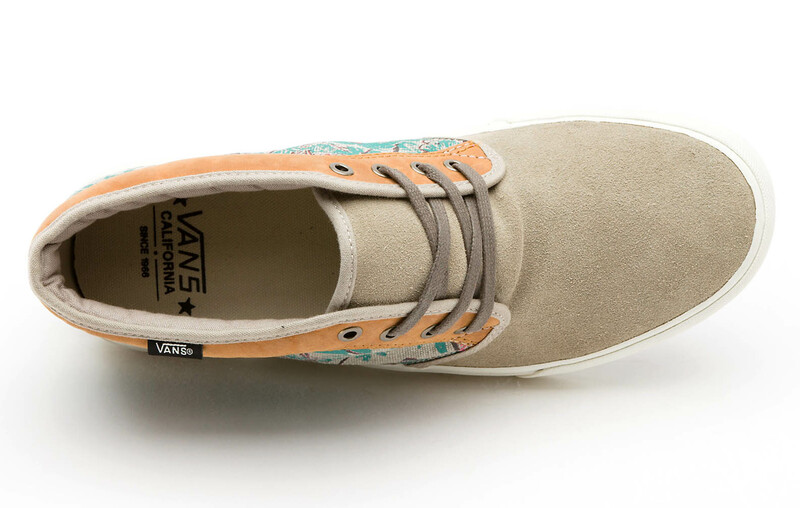 Vans California gets the season-appropriate vibes going with their Spring collection's "Hula Camo" pattern adorning the Chukka Boot and Authentic. 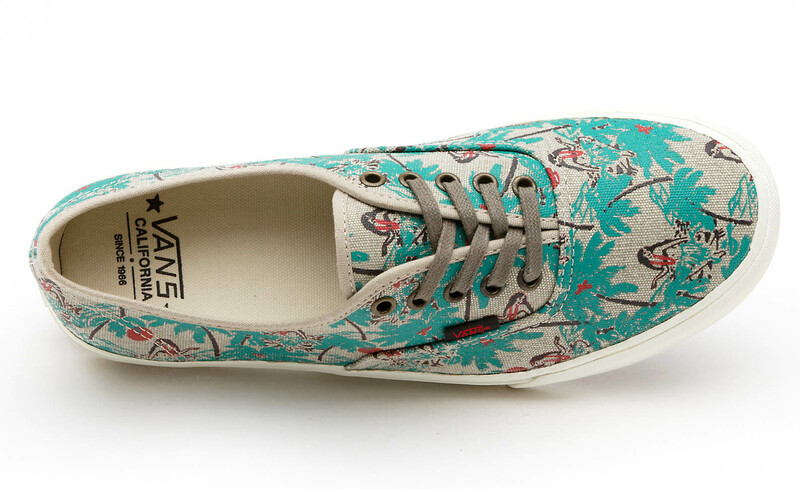 The Hula Camo print features colorful palm trees and hula girls stylized into a camouflage-esque pattern. 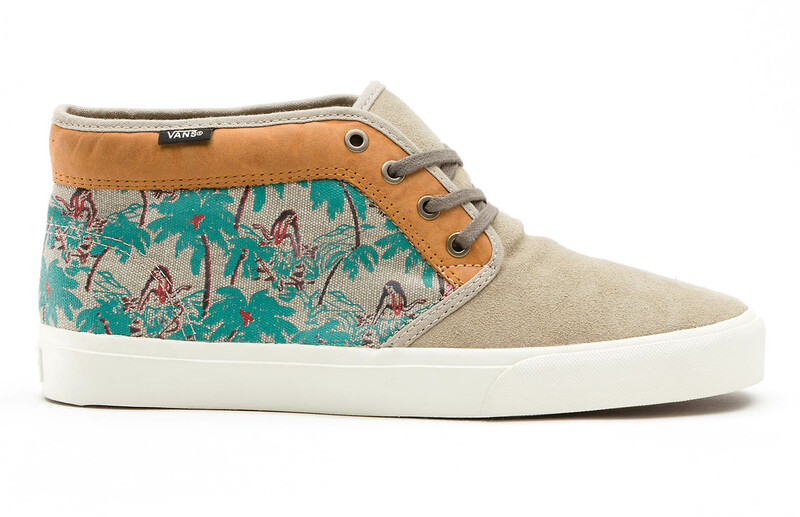 The Chukka Boot is constructed of premium suede and leather with Hula Camo canvas, while the Authentic outfitted fully in the Hula-printed canvas. 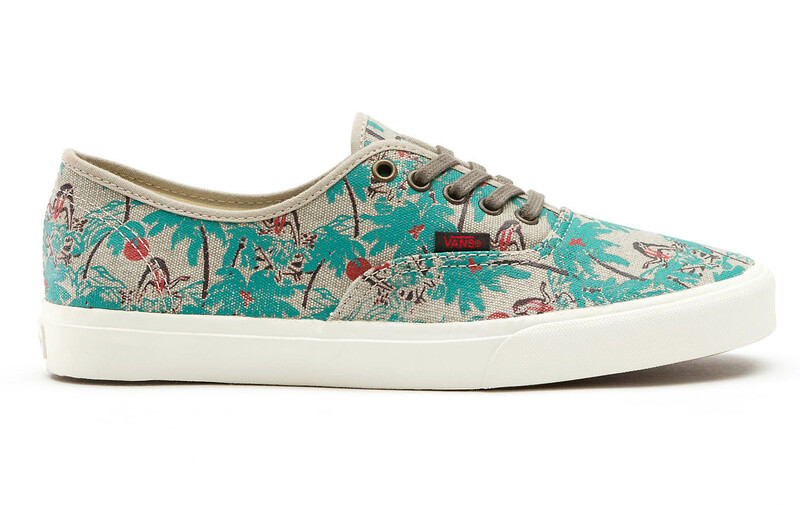 Both Hula Camo pack shoes will be available at select Vans retailers and Vans.com this March.